Planning specific meetings, proposals and discussions for business and any other purpose can be quite a tedious task, especially for beginners. 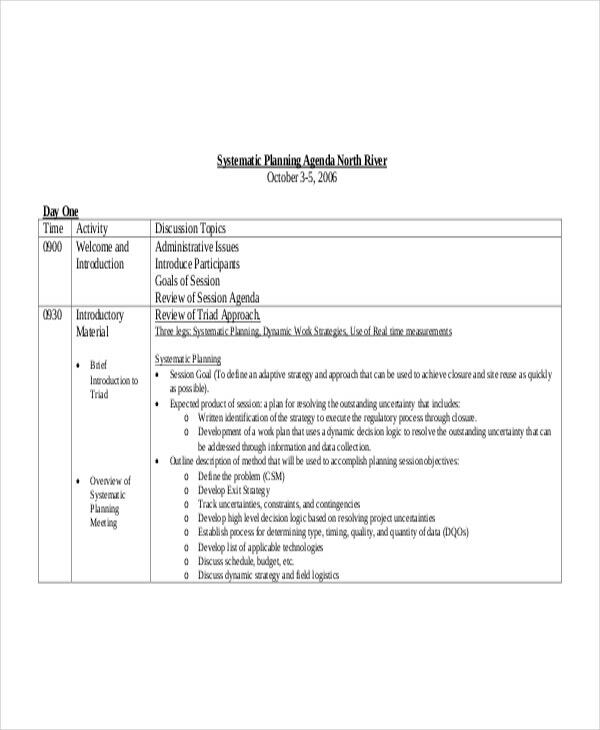 Seasoned professionals who are used in planning these kinds of meetings rely on an agenda template that has the guidelines intact so that only the specific details are to be filled in. This saves a lot of planning time which is quite valuable in strict schedules. These templates are created for specific situations to give a good start to planning purposes. You can also see Agenda Templates. 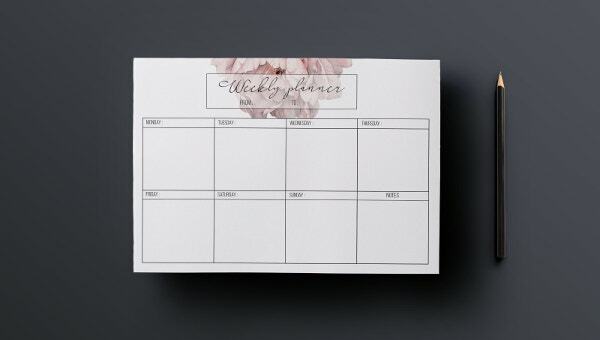 This template lets organizers walk through the details of their events to be held carefully before anything else is bought or purchased. The template has specific items to consider for certain occasions and settings. 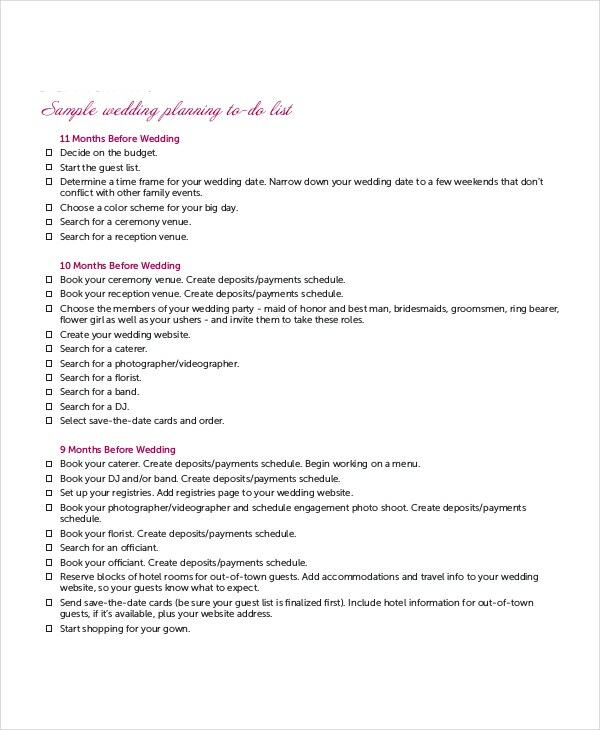 This template lets wedding planners and couples plan the things they need to accomplish before the actual date of the wedding. The template includes monthly checklists that include specific activities up to the date to make sure nothing is missed out. This template is useful for those professionals who want to turn their concepts into profitable businesses. This template lets you think through all the details of the business to make sure that the venture will work out. 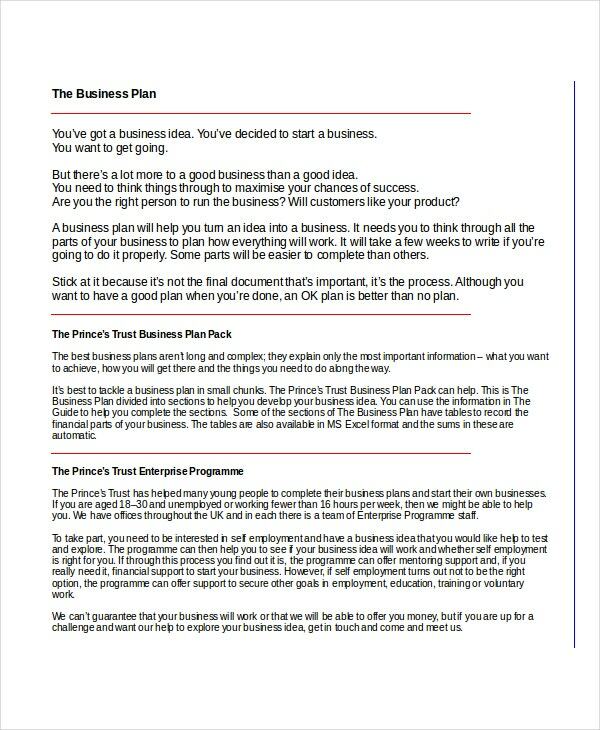 This template can save you weeks in the planning stage of your business. 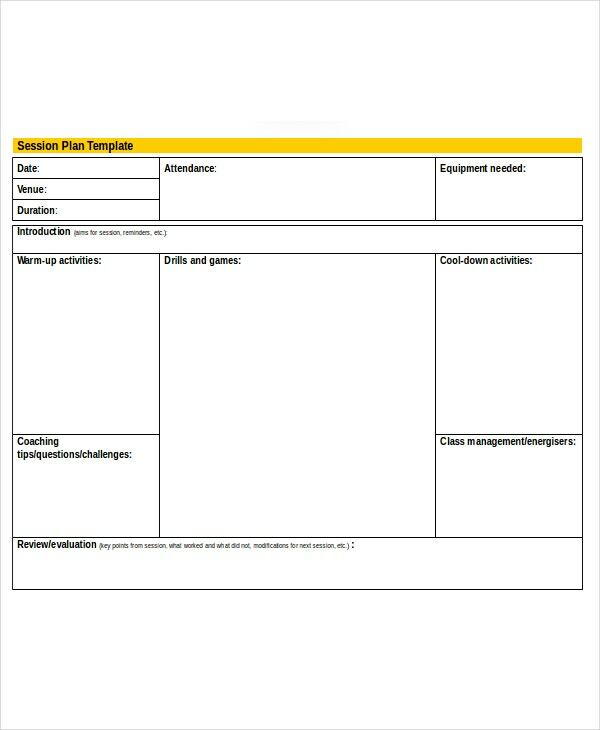 This template aims to provide the overview of the whole process of collaborative planning. It includes different checklists and forms that can be used as guidelines for use of the team in specific scenarios. 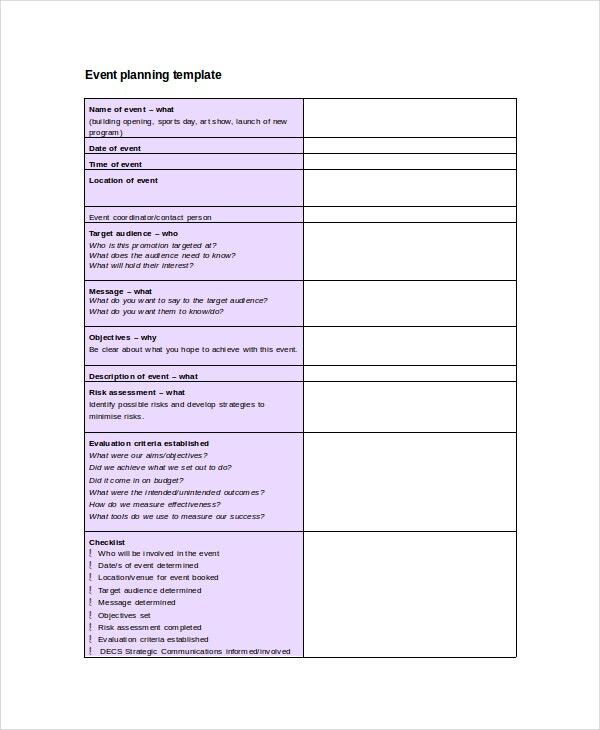 This template lets organizers plan their events in an accurate and hourly manner. This provides a planning tool for specifying a definite timeline and period for each activity within the day. 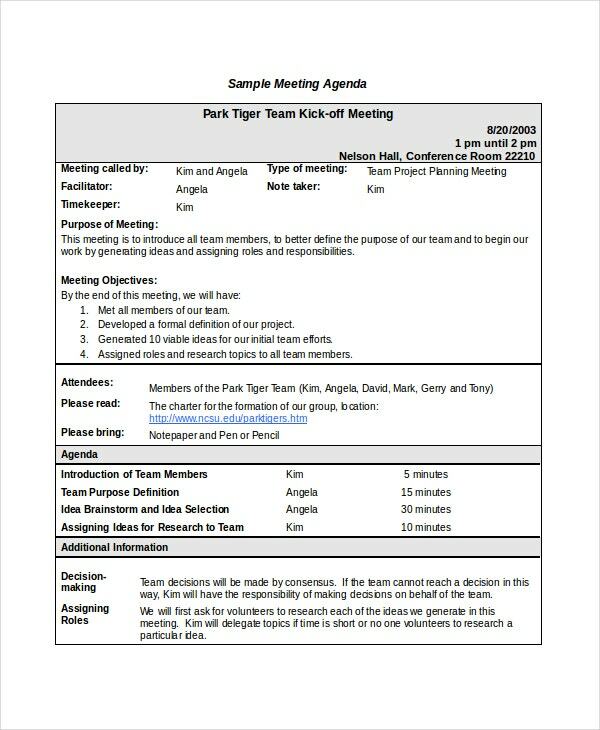 This template is used by the organizers who want to plan productive meetings to address specific concerns and situations. It includes details such as the main objectives of the meeting and the time allotted for each critical discussion. This template is useful to physical fitness instructors or gym coaches for the purpose of outlining the specific details of a physical exercise or training session. It includes fields to fill out for warm-ups, drills, and cool downs. > How Can These Templates Save Time? These templates include relevant fields, checklists, and forms that can eliminate most of the time used in brainstorming the details from scratch. By including relevant issues that only need to be answered during the planning session or meeting, all the participants are free to cut the time they spend on the discussion. You can also see weekly agenda template. > How Can They Improve The Quality of The Session? These templates provide well-thought-out questions and guidelines that are relevant to the specific situation or purpose. Because the questions are already given, the participants can devote their thinking capacities better at solving or addressing the issues at hand. These templates are created for the convenience of the public. They are created in the simplest manner so that the planners can thoroughly provide the details and understand the planning process better. You can also see Agenda Templates. These templates save both the time and efforts of the organizers and the participants. Why go through the hassle of coming up with your own guidelines and planning forms and checklists? Choose the relevant event agenda template that suits you and your specific needs and devote more time to the actual purpose.